Through exhibitions, education and public debate, our mission is to increase the global perception and appreciation of contemporary art in Africa. 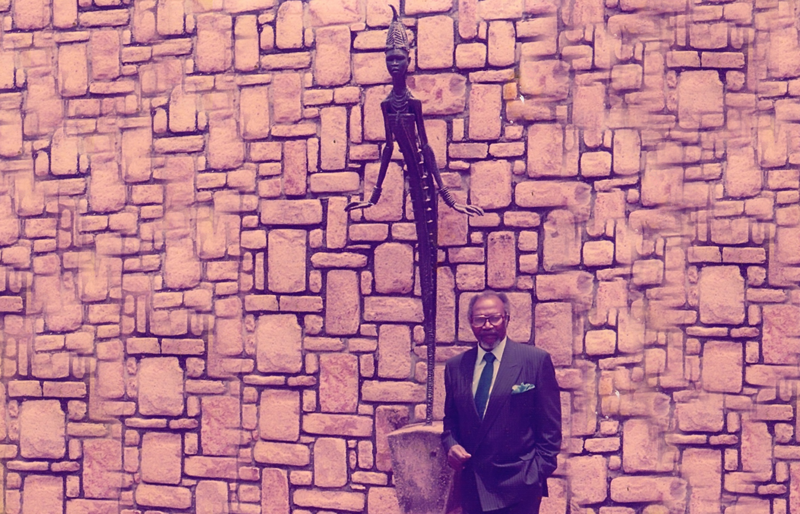 Anyanwu or The Awakening ( bronze) is one of Ben Enwonwu's greatest works that best illustrates his pioneering contributions to modern art in Nigeria and Africa through the invention of a new visual language that engaged nationalist and Pan-Africanist ideals. 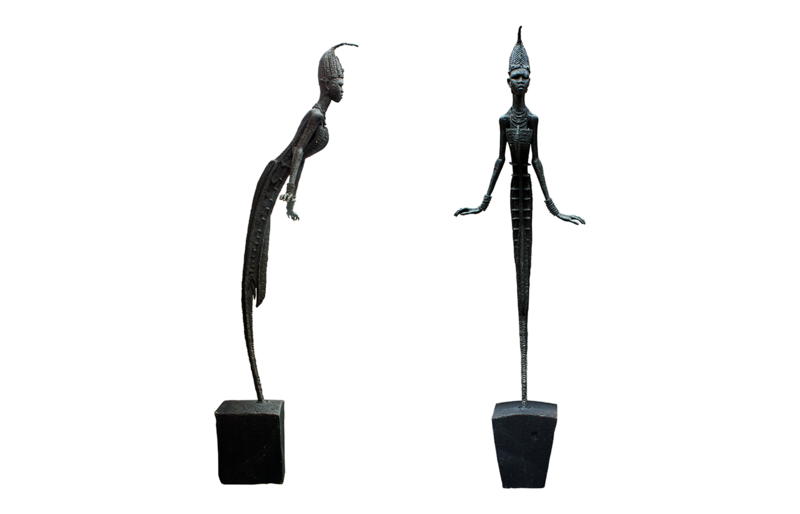 Much of the sculpture's power derives from the artist's successful fusion of indigenous aesthetic traditions drawn from his Edo-Onitsha heritage with Western techniques and modes of representation. Completed in 1956 for the new National Museum in Lagos, a copy of the sculpture was presented by the Nigerian government to the United Nations (UN) on October 5, 1966 in support of world peace. With many African nations gaining independence, Anyanwu symbolises an emergent continent, and the yearnings and aspirations of her people. It remains one of the most recognisable works in our national consciousness and stands gracefully at the lobby of the UN headquarters in New York. 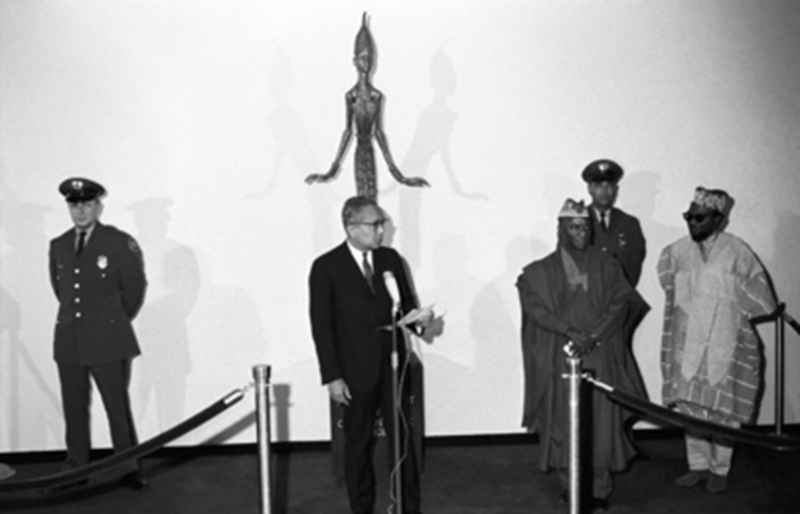 Inset: Front row, Chief Simeon Adebo (middle), permanent representative of Nigeria to the UN present “Anyanwu” to Ulysses Thant (left), UN secretary- general while Enwonwu (right) looks on.